How Do I Choose the Best Brunette Hairstyles? A stylist can be a wonderful source of information when choosing a hairstyle. A brunette with a short bob. Choosing the best hairstyle can be a lot of fun but it can also be tricky. A style that looks terrific with a certain type and color of hair may look completely different on someone with different hair color and texture. Some styles are especially good for blondes while others work great with dark hair or red hair. Choosing the best brunette hairstyles depends in part on the length, type, texture, and highlights of the hair, as well as the shape of the face. Straight dark hair can be cut into many great brunette hairstyles beginning with various types of bobs. 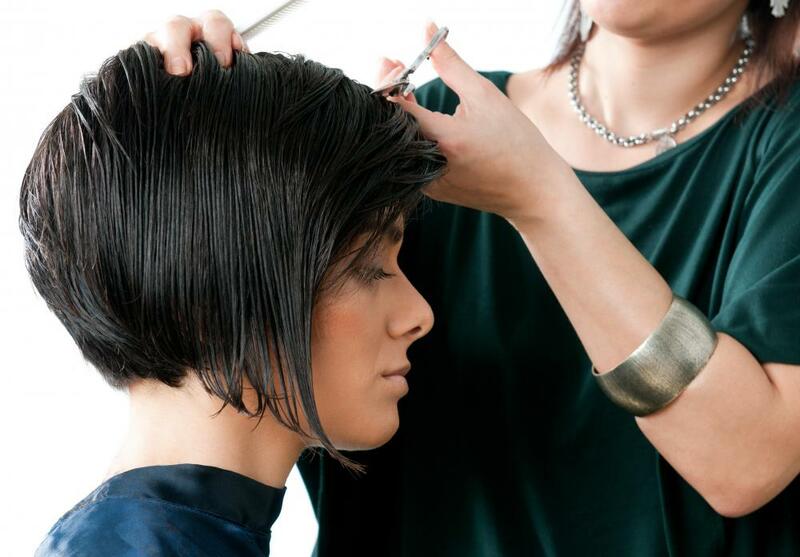 A bob haircut does not have to be plain or boring. It can be great for an everyday look but it can also be dressed up for special occasions. 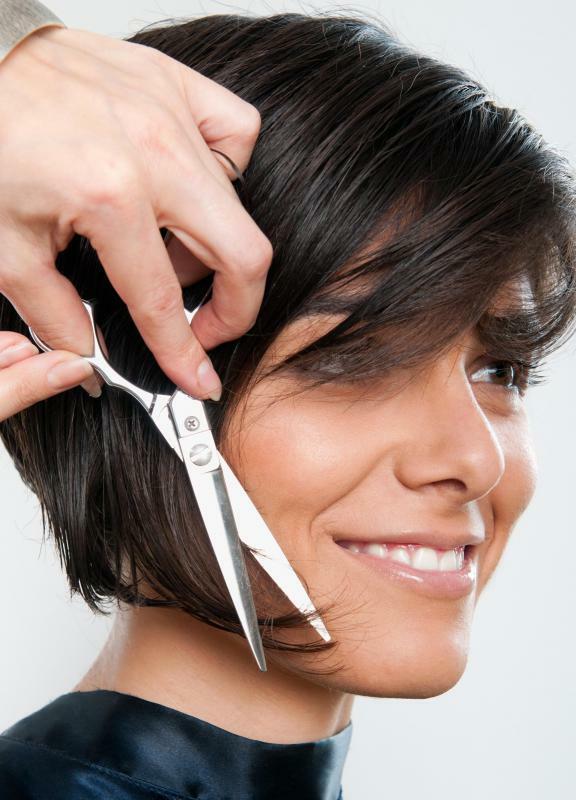 For fuller faces, a longer bob is recommended, keeping hair roughly at shoulder length. A longer bob can also be very versatile. If you want a great look without a lot of fuss, a bob can be fixed in many different ways. Wash and go is the simplest. It is natural, attractive, and obviously easy to manage. You can also create a dressier look for the office or an elegant up-sweep for special occasions. Short, “messy” brunette hairstyles can also be very cute. Some brunette hairstyles work better if the hair has been highlighted or has a lot of natural highlights. If the style is choppy, spiky, or just has a lot of layers, highlights can play up these features and give the layers distinction. Dark hair can be very shiny so brunette hairstyles that show off that shine can be very attractive. Highlights can also create a greater sense of movement. For longer brunette hairstyles, soft waves or long luscious curls can be beautiful. These styles generally work well with long layers. A barrel curling iron or large curlers are good tools for creating these looks. Your stylist can be a great source of information when choosing the best brunette hairstyles. There are also many magazines and websites that can help you compare the latest looks or superimpose your image with different styles to see how they will look on you. Always remember that the style you choose won’t look exactly the same on you as it does on a model, so comparing these looks using your own image is a great way to get the best style for you. How Do I Choose the Best Hairstyles for Redheads? How Do I Choose the Best Brunette Wig? How Do I Choose the Best Highlights for Brunettes? What Is a Bowl Haircut? How Do I Choose the Best Lowlights for Brunettes? What Is a Virtual Makeover? What Factors Influence the Latest Hair Color Trends?